Copenhagen’s confectionery game is strong — by the end of the trip, my suitcase was filled with boxes of chocolate and caramel from several different chocolatiers and candy makers. 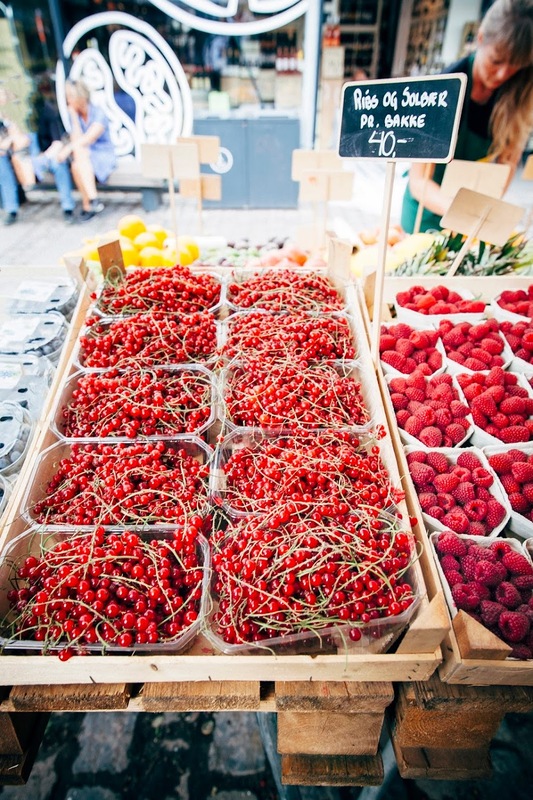 It seems like the Danish specialty is a mild licorice covered in chocolate and a slightly sour freeze dried fruit like raspberries or rhubarb. And even though I’m not the world’s biggest licorice fan, but I still ended up being mildly obsessed with these. We went to a handful of coffee shops that roasted their own coffee beans, and my favorite was probably Copenhagen Coffee Lab, who made Adrianna a perfect flat white. Shout out also goes to The Coffee Collective, who also made a pretty decent cortado and also had a wide variety of beans to choose from. below: they also have wine! Maybe it’s because I’m currently in the process of settling into my new apartment in Brooklyn, but I dragged Adrianna and Yossy into almost every home store we walked past. Because it’s true — Scandinavian design is unparalleled. All the shops that we visited were full of muted colors, minimalist furniture, and good quality basic goods that managed to be both beautiful and functional. ... and many more places I do not remember the names of, sadly! One of the highlights of the trip was a pop-up dinner specifically a part of Copenhagen Cooking & Food Festival. The family-style dinner took place underneath a huge chestnut tree in the yard of Scandinavian design power house Skagerak, which I already mentioned was a favorite of mine. Chef Mikkel Karstad (of Kinfolk fame) featured lots of fresh, seasonal vegetables that reminded me of my meal at Ottolenghi: seemingly simple, but prepared so beautifully and with such fresh ingredients that each dish becomes extraordinary. Every time we told our hosts that we were going to/had eaten dinner at Geist, everybody visibly swooned. Geist was the complete opposite of our pop-up dinner at Skagerak: unafraid to be fancy AF with lots of truffles, foam, and unusual meats cooked blue. While this wasn’t really my jam (I’m finding out more and more that I’m actually a PNW hippie who is incredibly anti-Uber, militant about composting, and doesn’t like to dress up — but I’ll save this for another post), I appreciated the experience nonetheless and enjoyed most of the food. Plus, they ended the meal with a giant cloud of lemon zest of cotton candy, which is pretty baller. On our last day in the city, we finally took advantage of Copenhagen’s cycling culture and rented out bicycles from the city’s bike share program, GoBikes. The best way to see Copenhagen is really by bicycle – the city has an incredible network of bike lanes, unparalleled by any in the US (yes, even by my much beloved Portland). Unfortunately, the bikes themselves were kind of, er, "beasts of burden". Each bike was about 50lbs heavy and a pain to get going, but incredibly fun once you figured it out. Also, watch out — they're motorized and can go super effing fast when you least expect it. 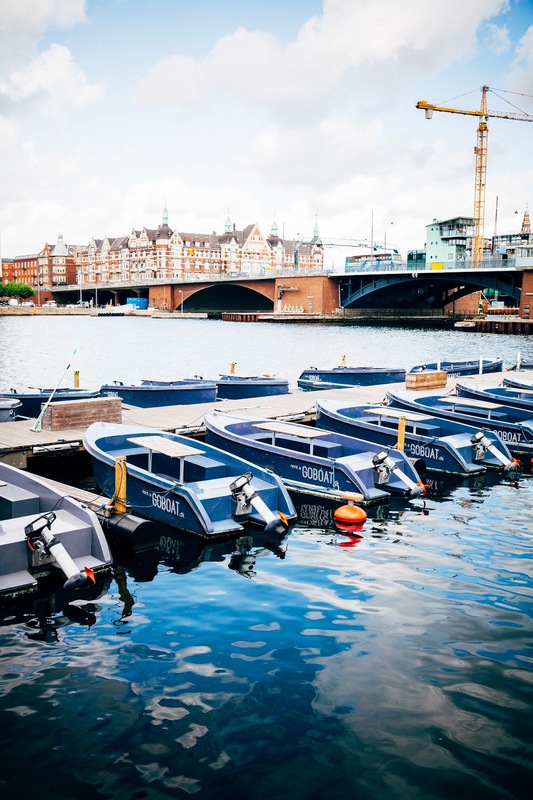 In addition to the bike sharing program, Copenhagen also has a boat program that allows folks to rent out solar-powered boats and take them around the city’s canal. The boats themselves were almost the exact opposite of the bicycles, but the same kind of cumbersome: difficult to steer and so light that we were prone to sailing of course into canal walls and low bridges when a particularly strong gust of wind (or boat) blew by. But, like the bicycles, the boat was incredibly fun after you got the hang of it. 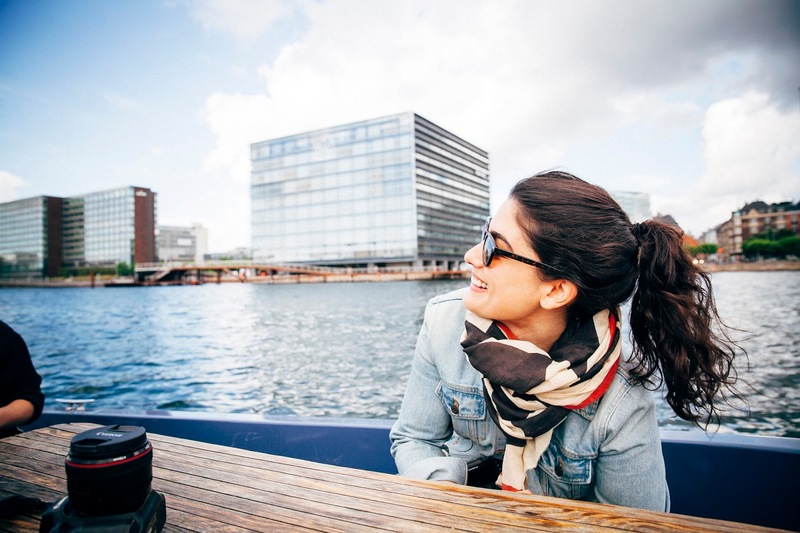 We used our GoBoat to sail out to PapirØen, a man-made "island" in the Copenhagen Harbor featuring warehouses housing several food stalls to create a sort of international food hall (a.k.a. 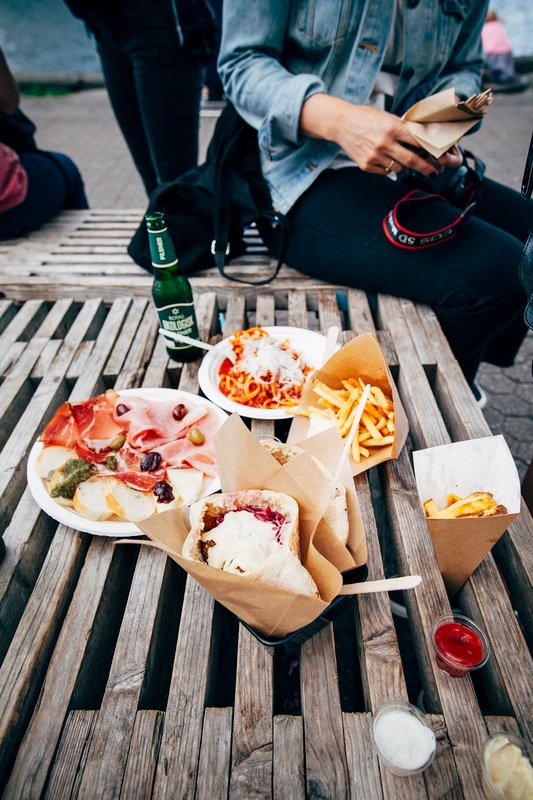 Copenhagen Street Food). Under one roof, you had your pick from falafel, ramen, donuts, Scandinavian hot dogs, and more. There's nothing I can say about Manfred's that hasn't been said before. Read this (old but still incredibly accurate) New York Times review, and make an effort to go the next time you're in Copenhagen. You won't regret it. And that review is right — all the waiters are "attractively dishelved" babes. 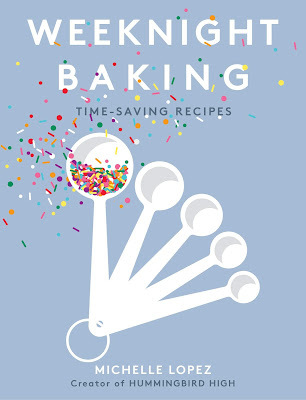 Seeing as Adrianna, Yossy, and I were all big bakers, we definitely made an effort to seek out bakeries. Although we were not the most successful at finding any interesting pastries or patisserie, we found some pretty good bakeries that specialized in croissants and hearty whole-grain breads. Also, Danish butter is so bomb that I considered smuggling back a couple blocks in my suitcase. Is that weird? Oh well. 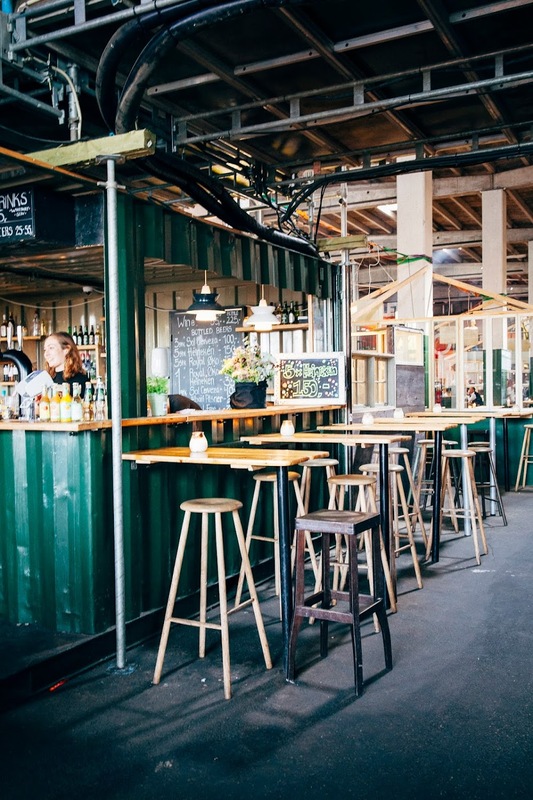 Like New York City, Copenhagen has a Meatpacking District. 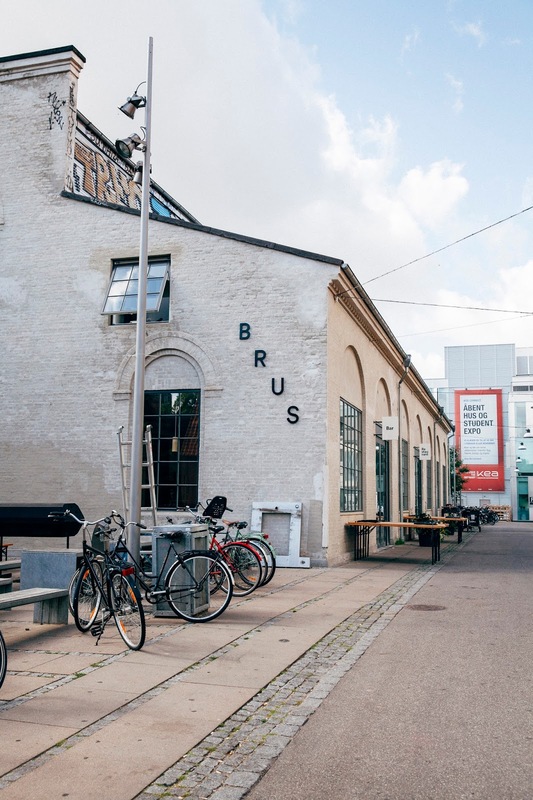 However, unlike New York City, Copenhagen's Meatpacking District feels more like a town square filled with neighborhood restaurants, up-and-coming breweries, and coffee shops. 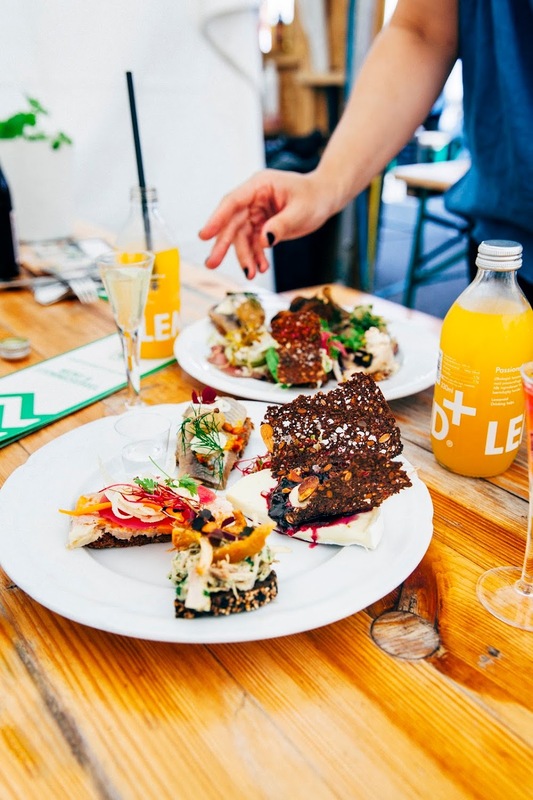 As part of Copenhagen Cooking & Food Festival, we attended a Smørrebrød Competition in the Meatpacking District that featured several chefs from around the city making open-face sandwiches (a.k.a smørrebrød). Danes — they're just like us! They like sandwiches too. We had dinner at Spontan our first night in Copenhagen, and this place was so Portland that it almost made me homesick. 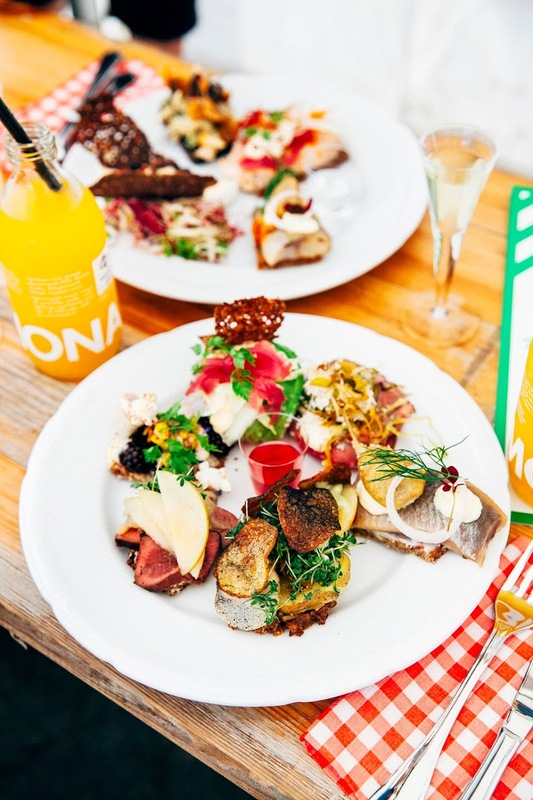 Quite frankly, it's not an easy experience to explain: Spontan is a restaurant with a tasting menu within a microbrewery named Brus in Copenhagen. You can get pairings of their beer (usually made in-house) or wine with the menu, and the food is Nordic, fresh, and impeccably presented. I know that I've said that many, MANY times already, but seriously — Spontan did it best. This was probably my favorite place of the entire trip. I joked with our host that Torvehallerne was like two greenhouses filled with delicious stalls of food, but honestly, that description is not incorrect. 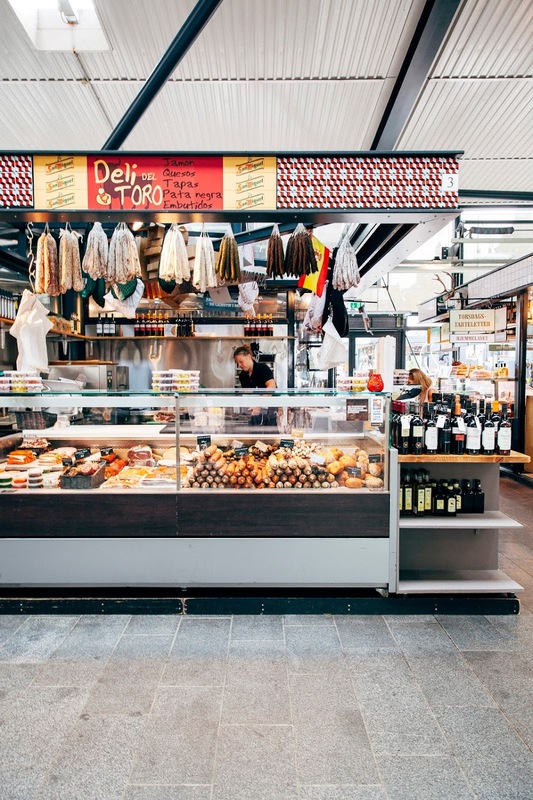 A food market in the style of Borough Market in London, Torverhallerne is the home to many gourmet and specialty food shops. 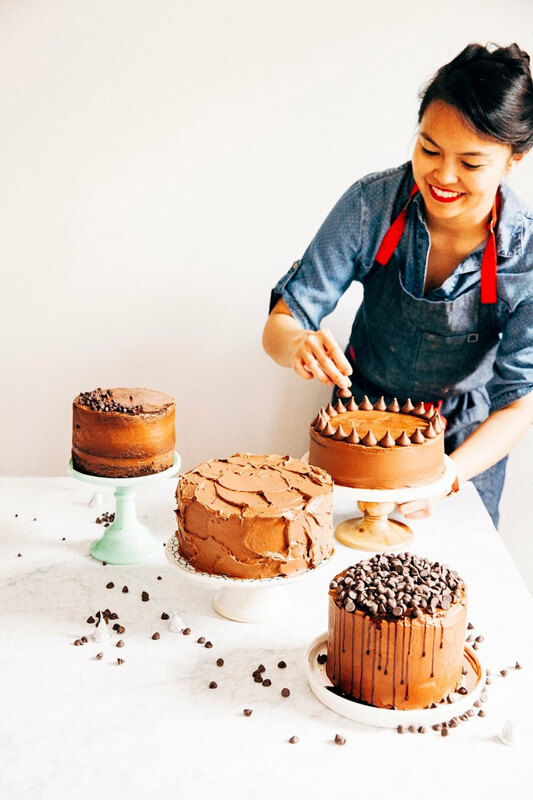 Several of the chocolate, coffee, and pastry places I mentioned above call this place home, so it's a great place to stop and try several of my recommendations at once without too much travel. 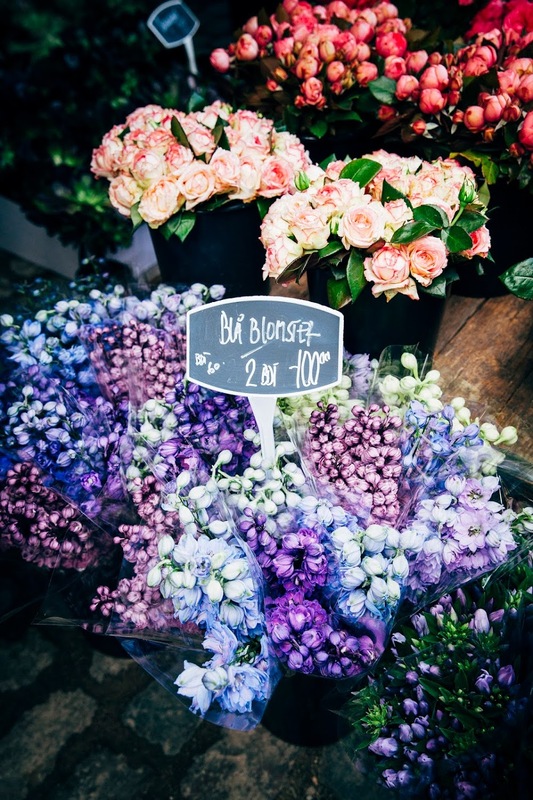 Plus, there's also a beautiful farmer's market in between the two greenhouses featuring lots of gorgeous produce and flowers. 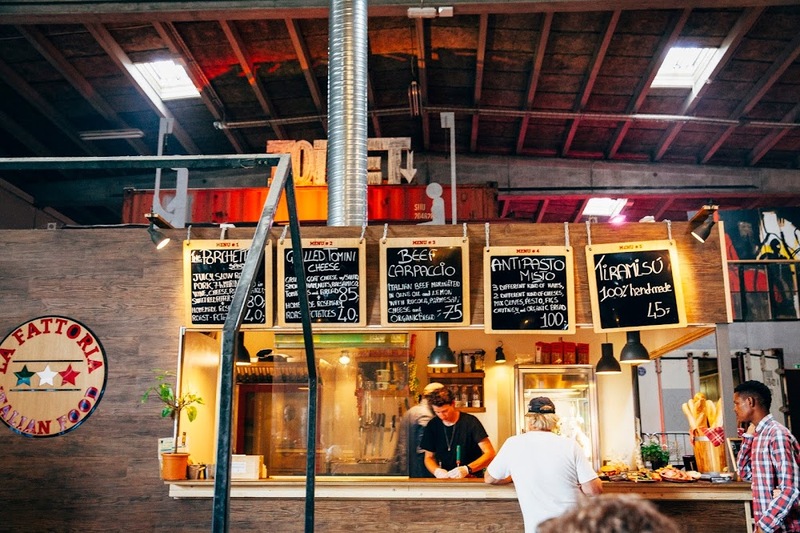 To see the full list of events during Copenhagen Cooking & Food Festival, check out the program on their website! 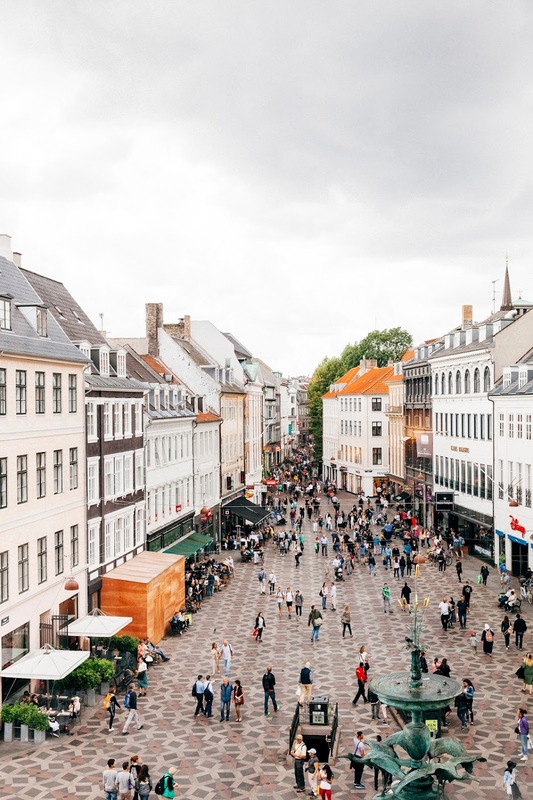 If you're looking for more recommendations, I really recommend checking out Visit Copenhagen. We were hosted by several folks who worked for the organization, and all of them were lovely, hardworking people. Plus, they really know the city and the food scene! 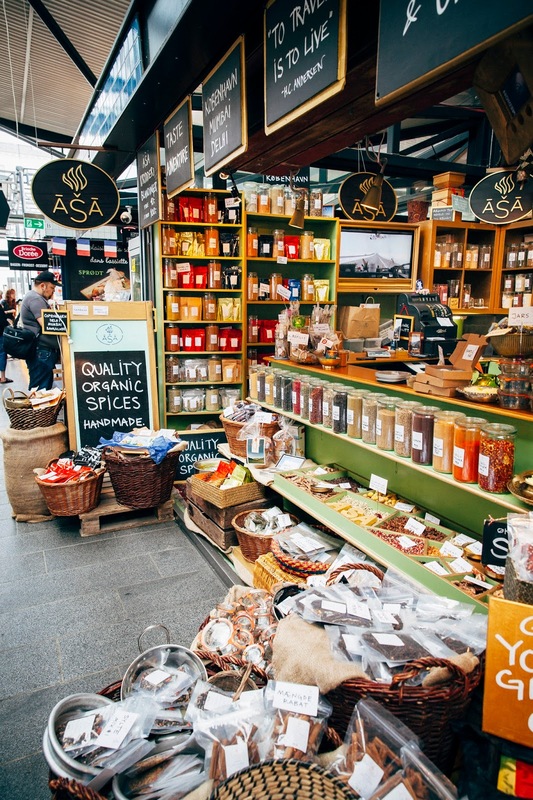 Thank you to Copenhagen Cooking & Food for sponsoring this post by inviting Adrianna, Yossy, and myself out to Copenhagen, planning our itinerary, and providing all travel, accommodations, and meals. As always, all thoughts and opinions are my own, and I really did have the time of my life in Copenhagen. My only regret is that I couldn't stay longer! Thank you for supporting Hummingbird High and my awesome sponsors!